Social media has been all abuzz in recent days over a new video showing a young orangutan who's taken it upon himself to "babysit" a group of little tiger cubs. 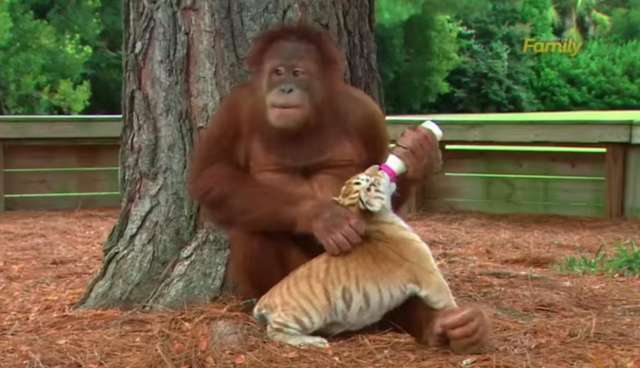 The viral-bound footage of unlikely friends has been viewed tens of millions of times online and described as a "cuteness overload!" But while this easy internet fodder certainly has an irresistible appeal on its surface, one needn't dig too deep to realize that it's not really cute at all. In fact, it's actually quite saddening. "[T.I.G.E.R.S.] continues to use the 'unlikely animal friendships' angle to exploit endangered species and give the wrong impression of the proper care of these animals," writes watchdog group Eyes On Apes. "You can support us in our conservation efforts by participating in our T.I.G.E.R.S. preservation station photo encounter. 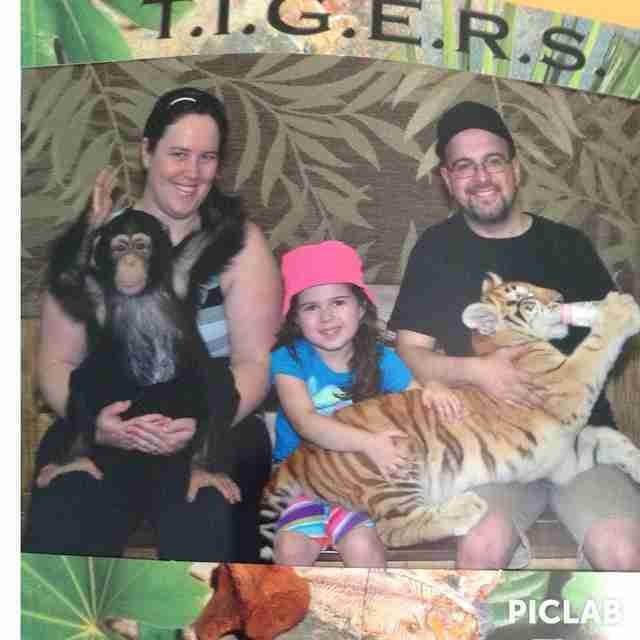 During this encounter, you will get hands-on with a baby tiger and a young ape while they sit on your lap. Photo encounters start at $100 a person [...]"
T.I.G.E.R.S. defends its fundraising practices as a way of bolstering wildlife through its charity Rare Species Fund, but its charitable activities have also been called into question. 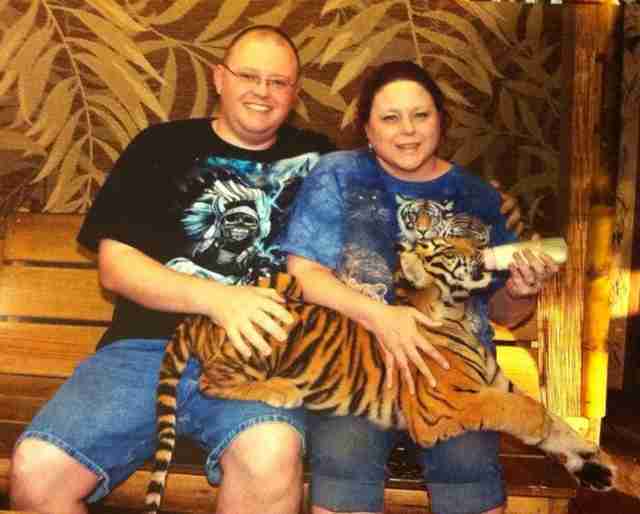 In at least one instance reported by critics from Big Cat Rescue, T.I.G.E.R.S. "donated" seven tigers to "not an especially good" zoo in Thailand under the guise of conservation. "Don't support this exploitation. When you receive an email or see images of baby apes with other animals on Facebook, Twitter, Pinterest, etc, take the opportunity to investigate where the animals are living, and politely educate people on the true circumstances behind [them]."